I looked at my shelves this weekend and found a few projects already cut, just waiting to be sewn together. So I dusted them off and got to work. I had a bit of "unquilting" to do this weekend, two days worth. Not the most fun. When I needed a break I picked up some of these little pieces and started making them into bigger pieces. LOL looks like I needed a few breaks. Do you know how hard it is to take out stitches with invisible thread???? That stuff is hard to see! Fraternal twin tumblers, girls above. Boy's waiting to be sewing together. HHST is together. I'm not thrilled with it, not even sure I like it. I'll see if quilting helps it. I wanted to do the just throw it together, I love how they look. But I can just throw it together. 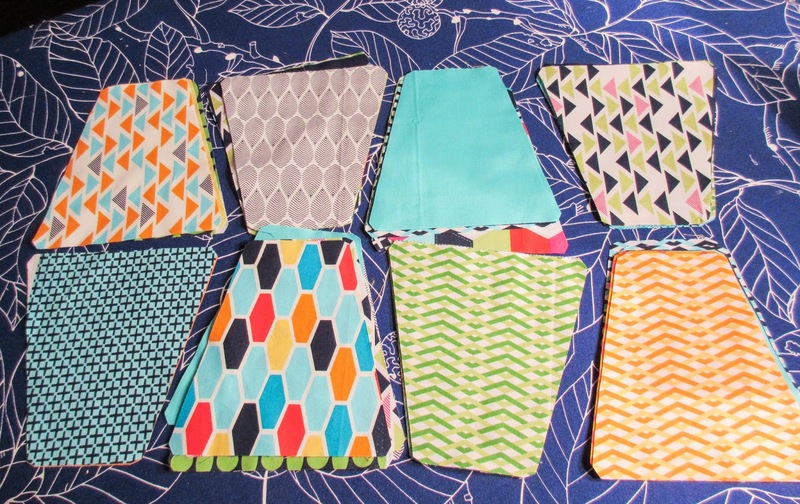 So I took the HSTs and sewed them all together the same way. I don't think that helped. Ehh, maybe I should just stick with a bit more control. This may get cut up into dog beds if I don't like it after quilting. I just dunno about this one. Check out all the linky parties on the side bar - lot of inspiration out there. 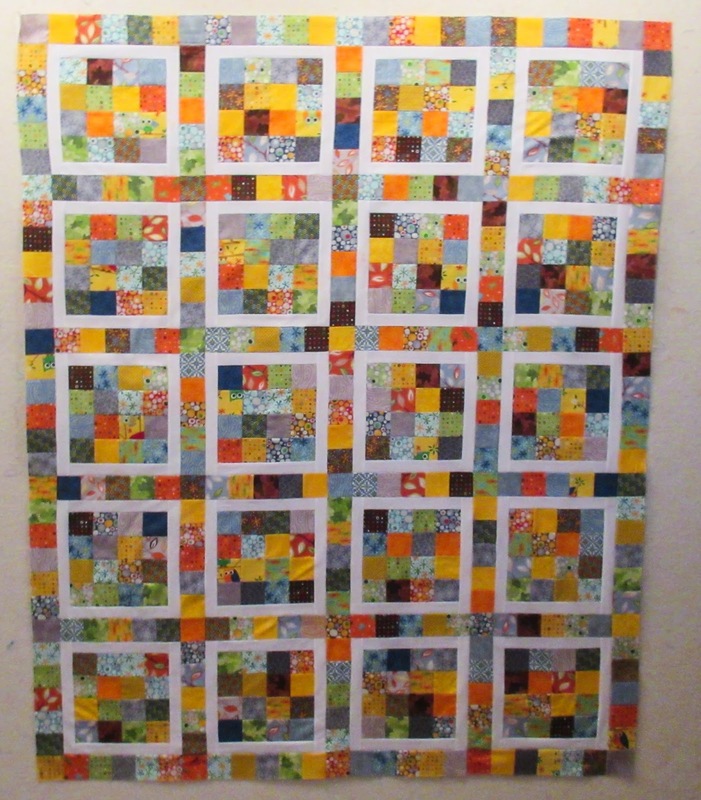 Great little quilts and I love "I Dunno"...i think it will be stunning when quilted! The colours are great! You may not be thrilled with HHST right now....but I can gaurentee once you are done adding your quilting magic to it....you will like, if not love it!! Love your tumblers and the 2.5" simple layout with the multicolour is gorgeous. I like the greens in your HST! Interested to see how it changes with quilting. 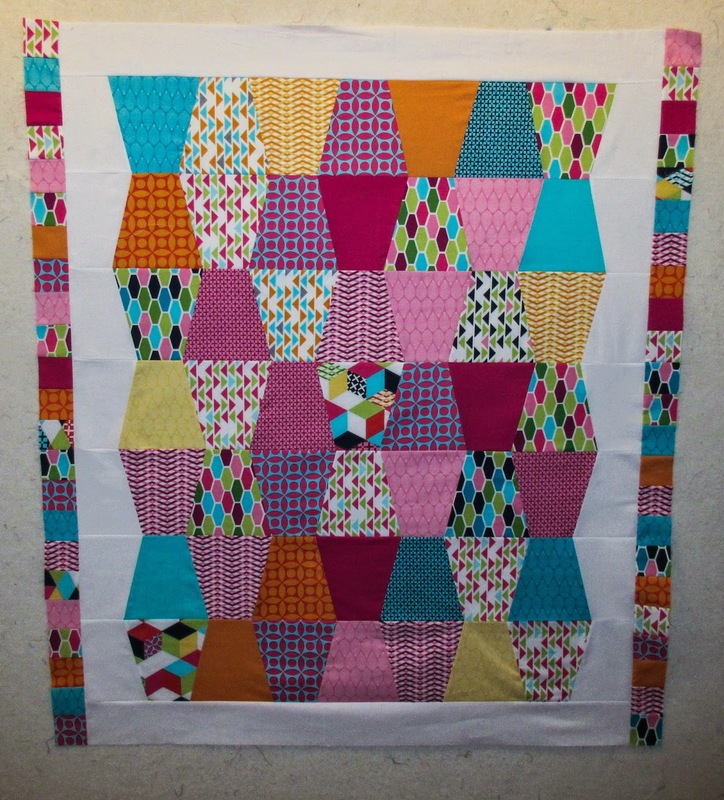 Great to see what you've been doing - your quilts are looking good - quilts out of nothing (scraps) are always fun! Your HHST looks great from here - quilting can really change a quilt so you may love it after you've done that! Your work is just beautiful!! I found your blog from the Fabric Tuesday link. Nice to meet you :) I can't even imagine un-picking with invisible thread! i can hardly see the colored stuff!! Your quilts are good. Don't cut them up for doggy beds. With your quilting they will be beautiful and lots of little ones would love their own bright, cheery quilt to cuddle with. Bright and fun projects. You scrappy 16 patches turned out beautifully. I really like your HST quilt. I agree with Dar, if you don't like it after quilting, it would be a nice donation quilt for a little boy. You are always so busy.